Now I feel under pressure. Neat - the sides do not look like just cork. I thought that there was more to it. Mh... I used liquid green stuff to fill some gaps, but nothing else. 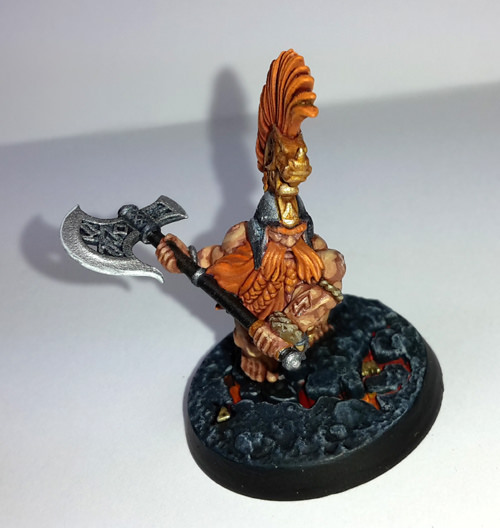 I pledge to paint at least one more member of The Chosen Axes. 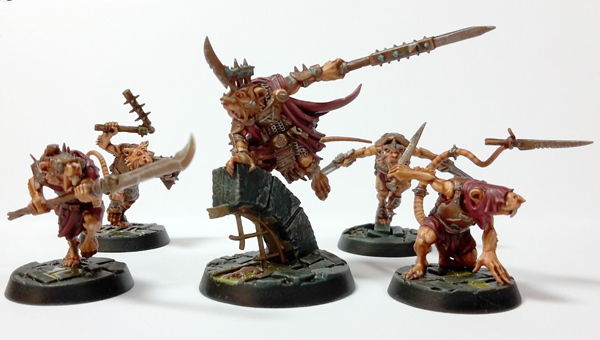 I pledge to assemble, prime and start painting "The Chosen Axes" (Shadespire). Pledge complete. I even finished one of them. 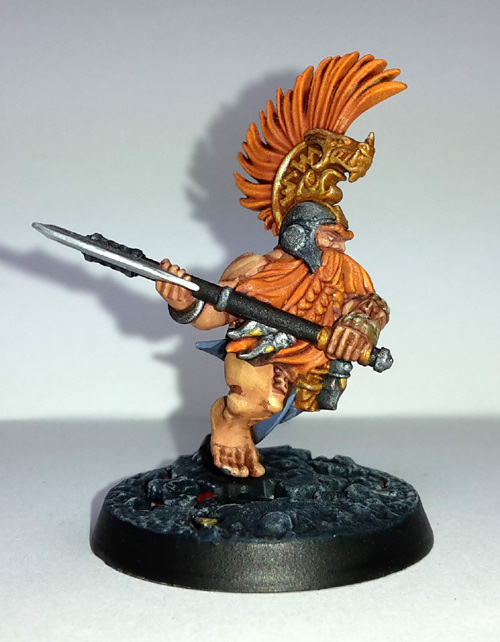 Next, I'm going to start working on "The Chosen Axes" (dwarfs). 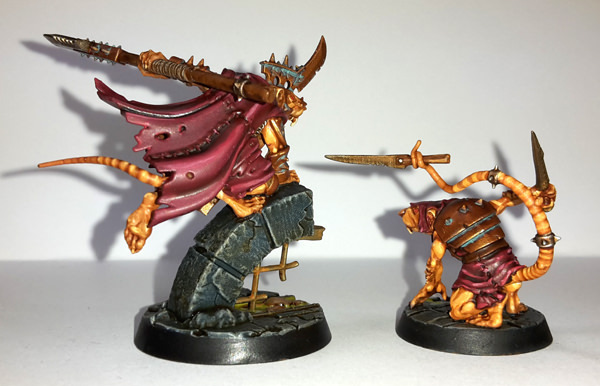 I pledge to finish Spiteclaw's Swarm. Oh, I'm very late - I forgot that I hadn't posted the photo yet. Yeah, that's also a good idea.